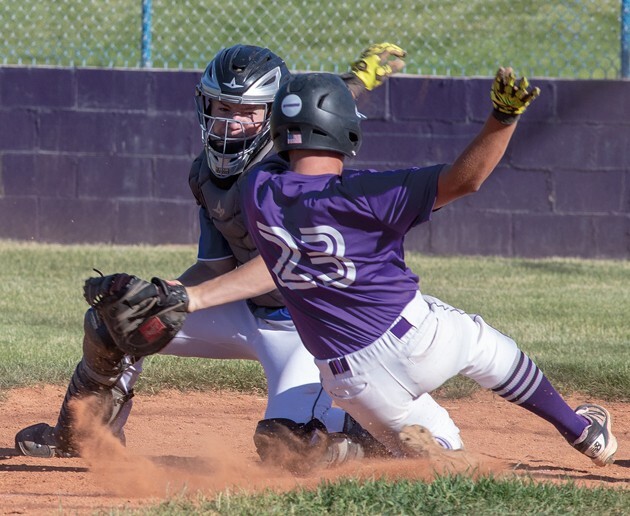 Tooele’s Jaxson Miner (23) slides into home plate against Stansbury catcher Braydon Allie during Wednesday’s summer-league game at Dow James Park. 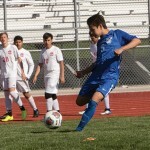 Tooele won the game 13-7, improving its summer record to 5-2, while Stansbury fell to 2-5-1 with the loss. Tooele pitcher Portland Parker delivers to the plate during Wednesday’s summer league game. Parker pitched 6 1/3 innings in the Buffaloes’ victory. Stansbury’s Logan Soderborg makes his way around the bases during Wednesday’s summer-league baseball game against Tooele at Dow James Park. Tooele won the game 13-7. 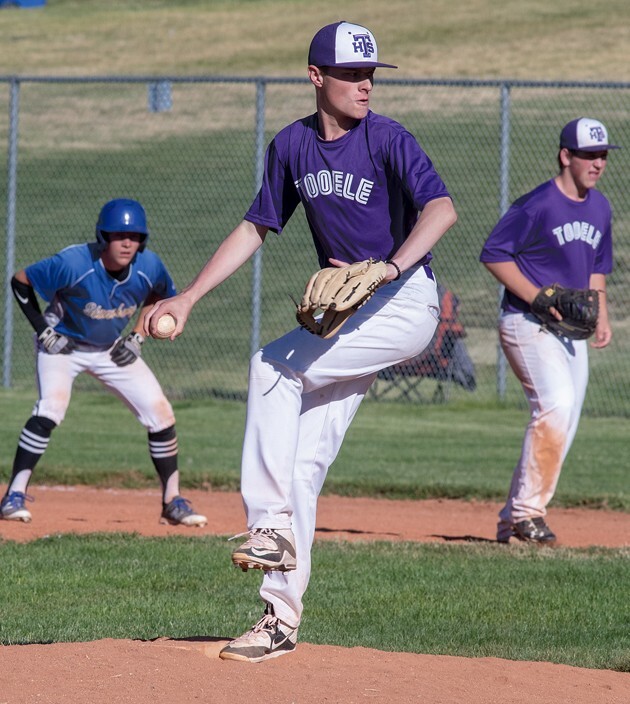 A successful summer helped the Tooele baseball team build momentum that led to a postseason berth during the most recent high-school season. With a 5-2 record so far this month, the Buffaloes are hoping the same will be true again next March. 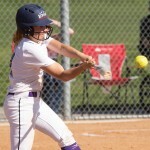 The Buffs overcame an early deficit to defeat Stansbury 13-7 on Wednesday evening at Dow James Park, picking up their second win over a county rival in a span of three days. 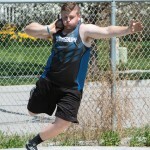 The victory has Tooele tied for fifth place out of 20 teams in the summer-league standings at the halfway point of the season. 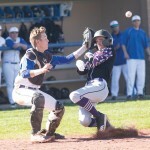 Tooele trailed 4-2 entering the bottom of the fourth inning before stringing together a six-run rally. Connor Spindler, Parker Dean and Jake Hervat were all hit by pitches to open the inning, and Jake Lopez tied the game with his RBI single to left field. Payton Shields followed two batters later with a run-scoring single to right, and Griffen Bate walked to drive in another run. After Lopez scored on a wild pitch to make it 6-4, a Stansbury miscue on a fly ball by Hogan allowed Shields and Bate to score. The Buffaloes very nearly brought the game to a close with another big inning in the fifth. 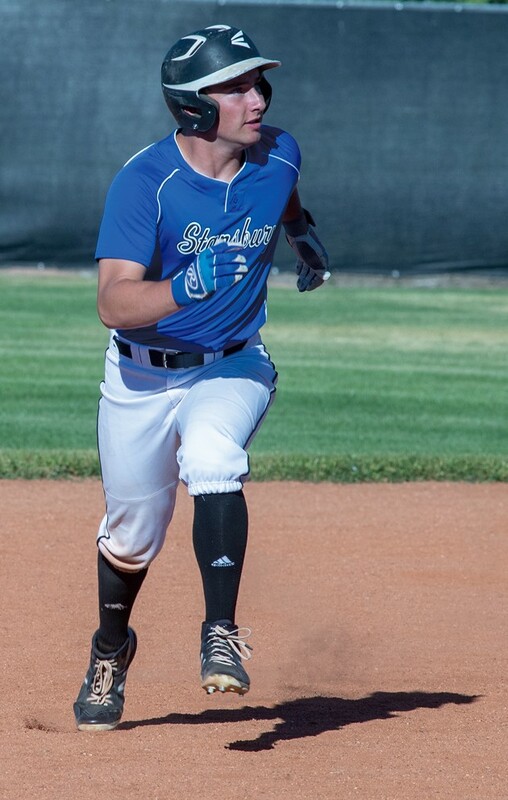 Hervat, Lopez and Jaxson Miner all walked with one out to load the bases, and Shields drove in Tooele’s ninth run with an RBI single to right. Bate followed with a two-run single up the middle to make it 11-4, sending Hogan to the plate with a chance to end the game by the 10-run rule. Hogan blasted a pitch by Stansbury’s Braydon Allie to left field, barely missing a walk-off three-run home run as the ball hit off the top of the fence. He settled for a two-run double and a commanding 13-4 lead. Stansbury rallied for three runs in the top of the seventh inning, but it was too little, too late for the Stallions (2-5-1). Tayson Miller and Isaac Hecker led off the inning with back-to-back singles and scored on Connor Fackrell’s one-out double to center field off Tooele starter Portland Palmer. Miner came on in relief and gave up a run-scoring triple to center by Logan Soderborg, but also struck out Bryce Gordon and Kyle Vorwaller. Tooele will play host to Hunter on Friday at 6 p.m. at Dow James Park. Stansbury is scheduled to travel to Herriman on Friday for its next summer-league contest.